Ransomware is one of the biggest scourges we face as Internet citizens today. What happens when you have been struck by it? The most obvious option would be to pay the ransom. You would not be alone if you did – even large companies and non-profits have had to pay, or at least negotiate, a ransom. But should that be your first option? Hardly. Another reason lies in the weakness of IT networks’ security policies. Factors such as inadequate backups, the lack of disaster recovery plans, poor updates of operating systems and applications, inadequate control over changes in IT infrastructure and user permissions, and lack of employee security education and training can all put organizations at serious risk of ransomware encryption. The best defense is a good offense – having good backups. This can come in a couple of forms. Shadow copies. If you are a Windows administrator, you may be familiar with the Volume Shadow Copy Service, a piece of software, first introduced in Windows Server 2003, that takes snapshots of data on specifically configured volumes at predetermined points in time. This service informs the Previous Versions feature in Windows client, which allows users to right-click a file on the disk and open a previous version if, for example, they make a mistake in a spreadsheet. If you catch a ransomware infection early, shadow copies are likely a good way to restore an unencrypted version of your files. If you are not using shadow copies, configure them today. Unfortunately, some variants of ransomware have caught onto this procedure. During their silent infection process, prior to encrypting files, they delete all shadow copies found on a disk. Regular backups that you restore from a tape or archive disk. You are making regular backups of your storage system, right? And you are regularly testing them to verify the files can be restored intact? If not, then stop reading right now and go configure a backup scheme. If you are, then rest a little easier, as the worst case for a ransomware infection in this case would be wiping your machines and restored their data from backups. Sure, it is an investment of time, but you will absolutely not need to pay any ransom, and you might just be seen as a hero. If you do find yourself on the other end of a completed ransomware attack, you have a couple of options that don’t involve paying the ransom. As governments and security researchers continue to make progress against ransomware threats, these parties have managed to break the encryption schemes used by some variants of ransomware. It is important to keep in mind that not every variant of ransomware has been “broken” by the good guys, so you should not rely solely on the hope that these encryption schemes have been foiled. Do not rest on your laurels when it comes to building defenses against this type of attack. The aforementioned organizations are working on breaking other variants as well, but breaking good encryption takes time, and malware creators have a perverse incentive to make their encryption stronger and even more difficult to break. It is an unfortunate dance, but for now, you might be able to save yourself with the decryption tools on the site. Beware of ransomware removal tools from other sources—they may actually be ransomware disguised as a prevention tools. Once these permissions have been removed, ransomware cannot access files for encryption, and basically just stop. You can then remove the malware, restore the files that were encrypted, and move on with your life. 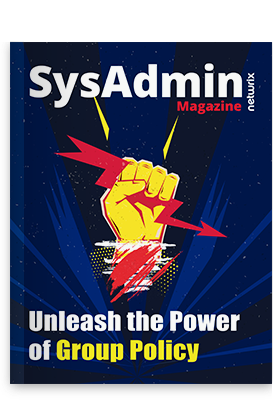 For much more detail on this method of stopping a pending attack or an attack that has just begun, check out Ransomware Protection Using FSRM and PowerShell on our blog. Feeling stressed because of never-ending ransomware drama? See how Netwrix Auditor can help you reduce the damage from ransomware attack. What are your ways to fight ransomware? Please share in the comments below.